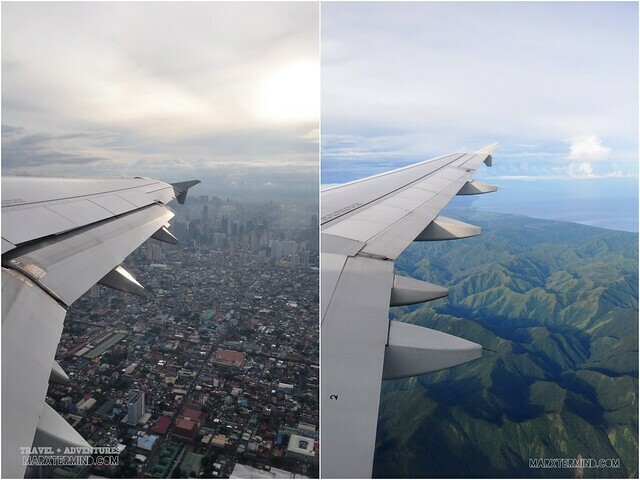 With flights from Manila and Clark to various tourist destinations in the country and abroad, Tigerair flies into the Philippine skies sporting the powerful roar of the tiger. 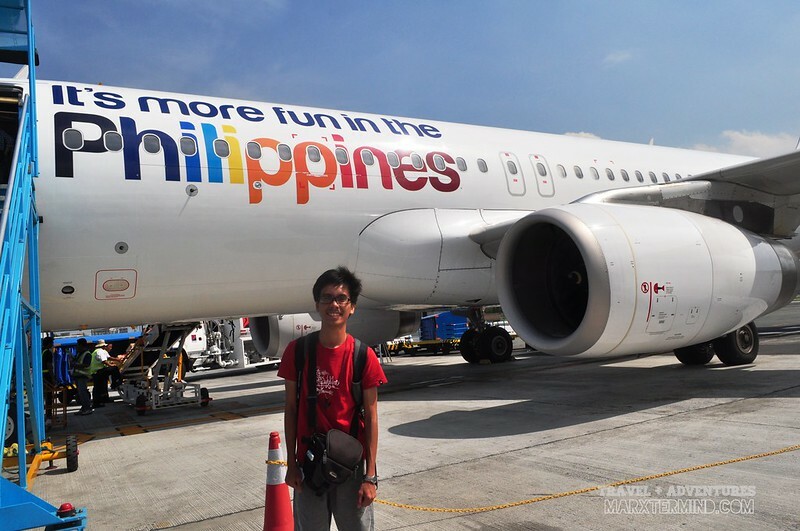 What’s more exciting about the airline is when two of its fleets painted with our country’s own tourism tagline, “It’s More Fun in the Philippines”; taking more fun into our skies. And that makes me even more interested to fly through their fleet. 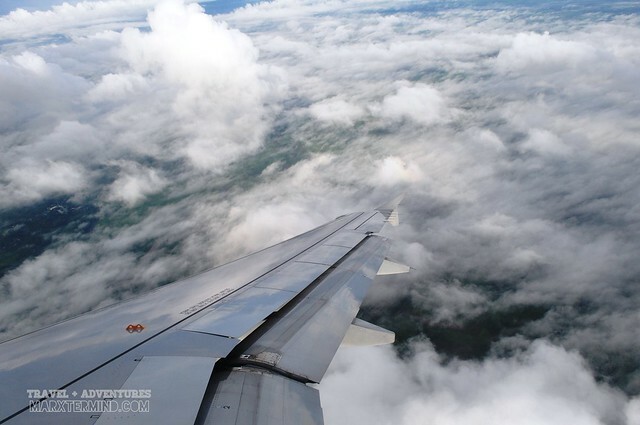 Since it started operating in the Philippines more than two years ago, Tigerair has no doubt been one of the favorite airlines in the country not only because it’s one of the newest but also because the affordable airline fare that it offers to the market. 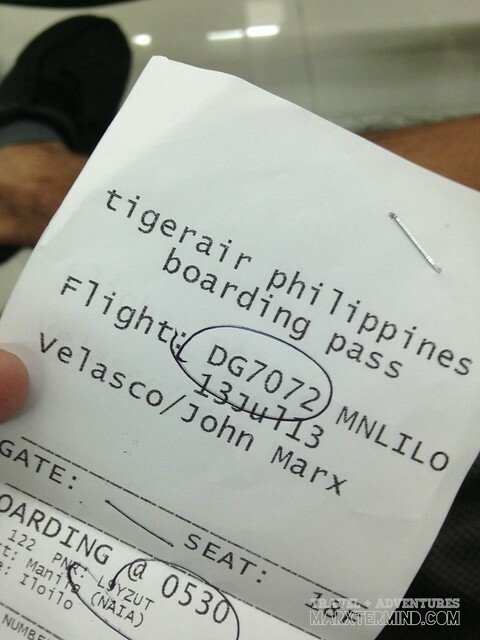 Just like when we went to Davao wherein our round trip ticket only costs Php443.04 per passenger. Where can you get a fare like that for an all in round trip ticket to a local destination nowadays? Only Tigerair hold seat sales like that. What’s more likable about Tigerair is its terminal in Manila is located at NAIA Terminal 4 which I can say more convenient for everyone to get in and out of the airport premises because of different options of affordable public transportation in the area. Checking in and boarding is also a breeze in Terminal 4 as you don’t have to walk that long from the point you enter the terminal to baggage check to check in counter and to boarding gates. Weeks after my flee to Davao through Tigerair, I then get a chance to fly through the same airline again but to a different destination this time, and that is Iloilo. Iloilo is one of the provinces that I had visited during my early years of my travel addiction, but since we focused more on Bacolod and Guimaras during that trip we only spent few hours in the province and never really got to explore what Iloilo could really offer aside from its historical churches. It was an early Morning flight; thought I can see the sunshine from above but clouds hindered it from showing. Since I came straight from my shift; I got dozed off easily on my seat. The last view I remembered before I fell into sleep was a bird’s eye view of the city but when I opened my eyes, the beautiful mountain ranges welcomed me. Few minutes later, the pilot announced preparation for arrival; seriously, that fast? But it isn’t an easy landing as it then took us minutes to touch down the airport. 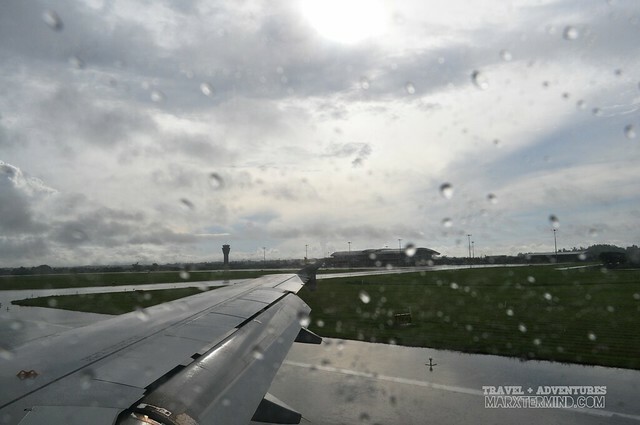 Big clouds were hindering the aircraft’s view to get to the airport’s runway; almost zero visibility I could say. The pilot then announced that we’re flying in circles due to difficulty of spotting the Iloilo airport’s runway (if that’s the right words to say in layman’s terms). We were then assured that everything’s OK. What only worries me was what if the pilot decided to bring us back to Manila? 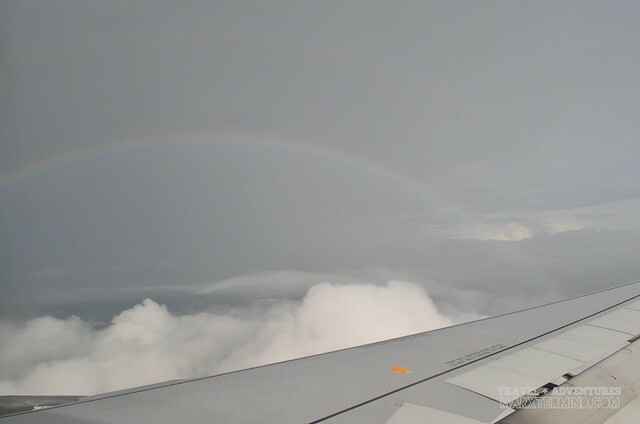 But after several attempts, we were then able to land Iloilo International Airport safely and sound. That was a tough one! But as the saying goes, there’s a rainbow always after the rain. Right? It was drizzling when we touched down Iloilo. Then it bothers me if it rains in our destination which is 3 hours away from the city; I hope it isn’t. 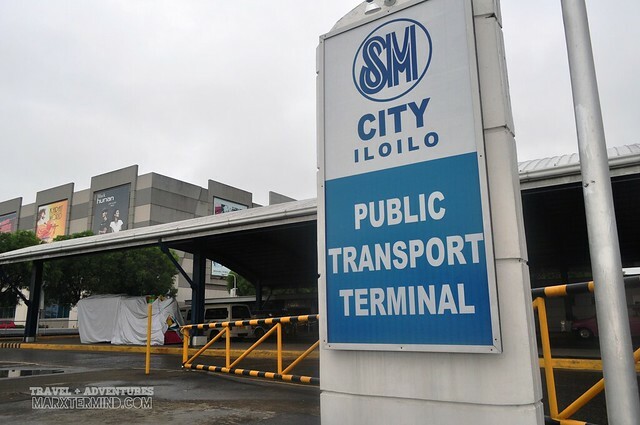 The airport serves the general area of Iloilo City. 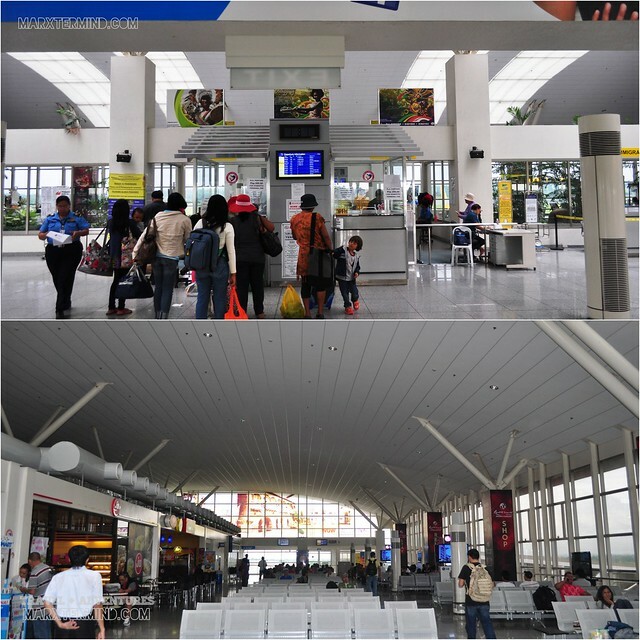 The airport opened its doors to commercial traffic on June 14, 2007 after years of planning and construction, replacing the old Mandurriao Airport in Iloilo City proper. The airport vicinity is pretty impressive. Seats are conveniently available. There are also LCD screens available in the waiting area. Inside you’ll see restaurants and souvenir centers which I can say, offer affordable meals and products despite that they are situated in the airport. After reaching the terminal area, I then went out and looked for the public shuttle that goes to SM City. The airport is located in Cabatuan, Iloilo which is 19 kilometers northwest of Iloilo City. One can take the public shuttle bound to SM City. Fare per person if coming from the airport to get to the city costs PHP 50, while the fare if coming from SM City to get to the airport costs PHP 70. Travel time to get to the city from the airport (and vice versa) is 30 to 45 minutes. 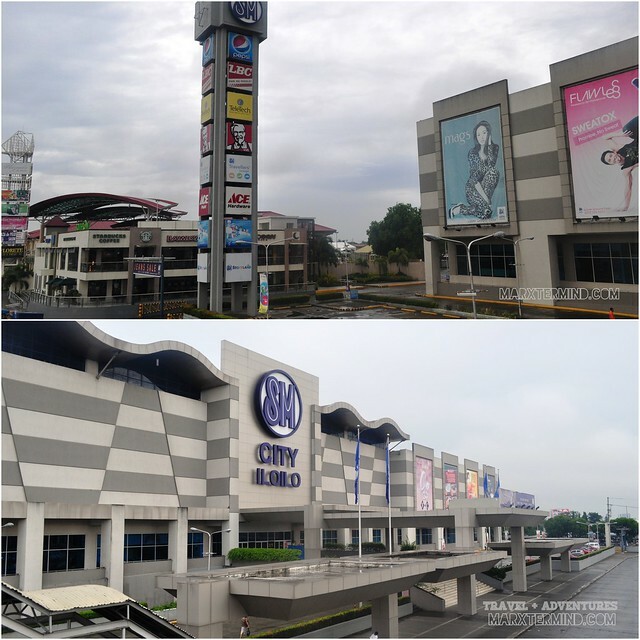 I had arrived SM City Transport Terminal at around 8:00 AM. There I met my travel companions. We then rode a cab to get to van terminal, with public vehicles bound to our beach destination in Iloilo. 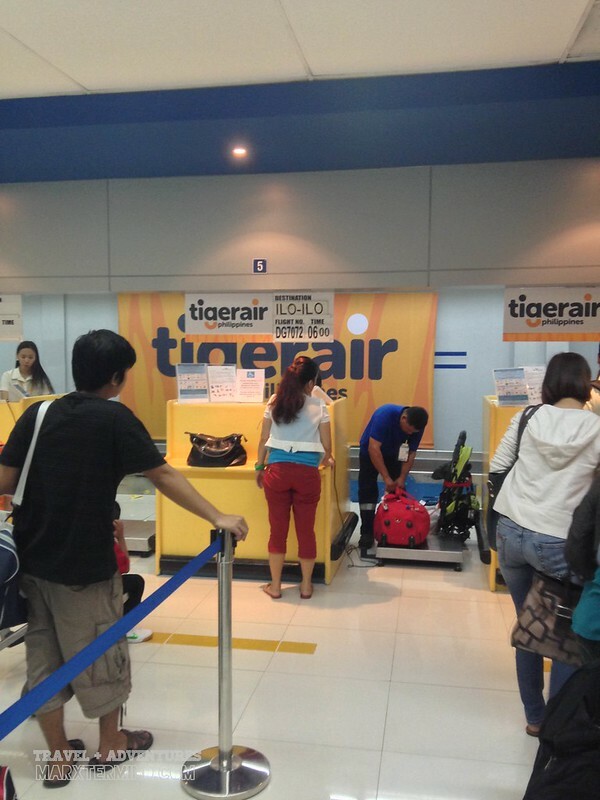 Tigerair flies from Manila to Iloilo (and vice versa) daily. Visit tigerair.com to get the latest deals and fares to your favorite tourist destinations. 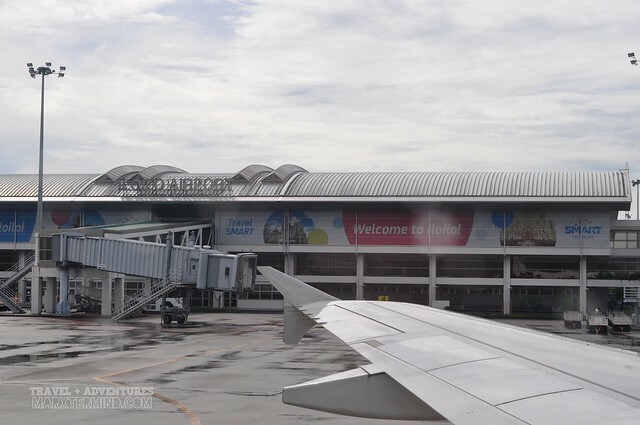 One of the most beautiful airport in the country today – Iloilo Airport.